UPDATE: This is a delicious, beautiful scam! Get the whole story over here. 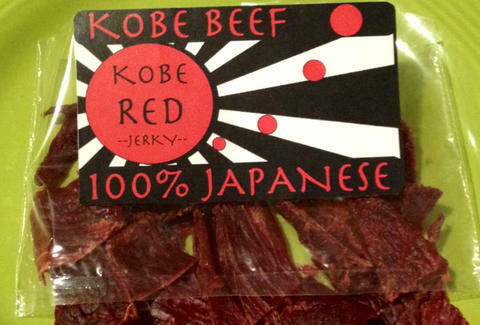 In case you always had nagging doubts about the provenance of that Slim Jim, the guy behind Kobe Red aims to make sure that your future meat snacking consists of nothing less than the finest impossibly pampered, beer fed, occasionally massaged, breathtakingly marbled Kobe beef imported directly from Japanese ranchers. 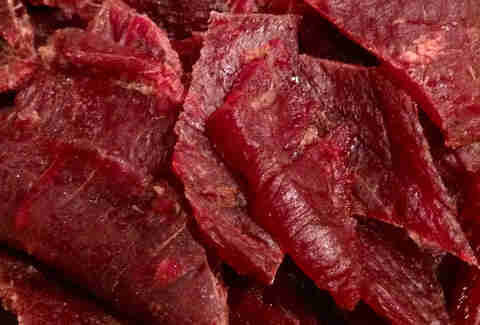 Some of said ranchers just so happen to be the relatives of the founder, who was born in Cali to Japanese parents but spent time studying in Japan and, more importantly, hanging out on his uncle's ranch enjoying the "rancher's keep" aka smaller scraps of Kobe that fall outside the traditional steakhouse cuts but nonetheless taste delicious. 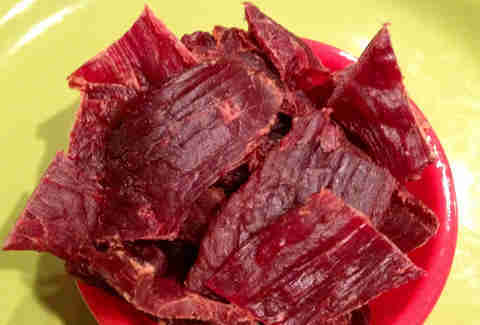 And make some mean jerky. 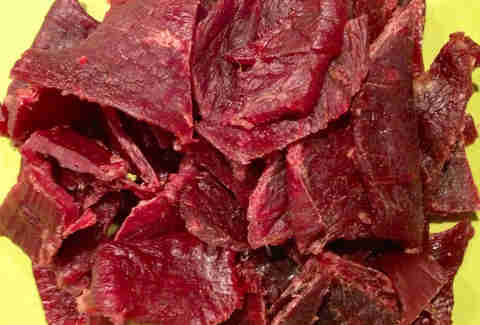 However, even though he had the knowledge, he couldn't get his hands on the genuine-article Kobe until the Japanese government lifted the ban on its export last year, paving the way for flavors like this Brown Sugar-Lemongrass, vacuum sealed and wet-aged for a week with all-natural ingredients before being jerky-fied. They're also making two other varieties: this Sweet Spicy-Ginger Teriyaki (which totally looks the same but assuredly tastes quite different) and Smoked Honey Spiced Curry... Curry-Kobe could also be one hell of a backcourt... damn almost made it out without a Kobe Bryant joke.